In today’s digital world, harmful blue light is unavoidable. 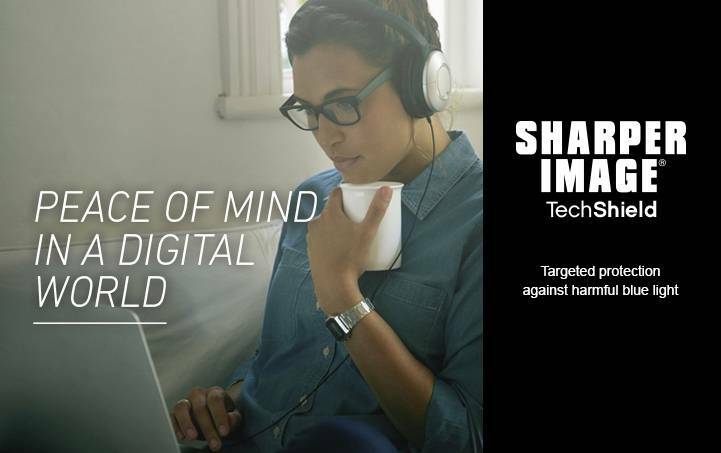 Sharper Image TechShield delivers targeted blue light protection and advanced AR properties in a proprietary, near-clear lens enhancement. With most people spending more than half their waking hours exposed to blue light emitted by smartphones, tablets, computer monitors, TVs, and energy efficient lighting, protection has never been more important. TechShield's unique defense technology absorbs and deflects incoming blue light to help safeguard the wearer against exposure.